"The 26-year-old from Melbourne brings a record of 25 wins against two defeats but the majority of his work to date has come in Australia, only venturing outside his homeland to box twice"
Lovers of Kell Brook will be delighted to see their man return to the ring this weekend when facing Australian opponent Michael Zerafa in front of a sell-out audience at the Sheffield Arena. Special K remains a real fans favourite and he'll be eager to impress and kick-start his career heading into the new year where big fights await. All the talk in the build up to Saturday's bout has revolved around a potential all-British match-up between Brook and Amir Khan with many gossip columns and red top newspapers suggesting a deal has already been made. It'll all be for nothing if Brook doesn't get the job done here, and in good style too. He must win and shine in doing so, giving followers a hint that he is nearing the form that saw him grab a world title in 2014. Since beating Shawn Porter at the Stubhub Center on a majority decision to relieve the American of his IBF world welterweight strap, Kell Brook has boxed six times with his results showing four wins against two defeats. The first of those losses came at the heavy hands of Gennady Golovkin up at middleweight when battered into submission inside five rounds at the 02 Arena, London in the summer of 2016. 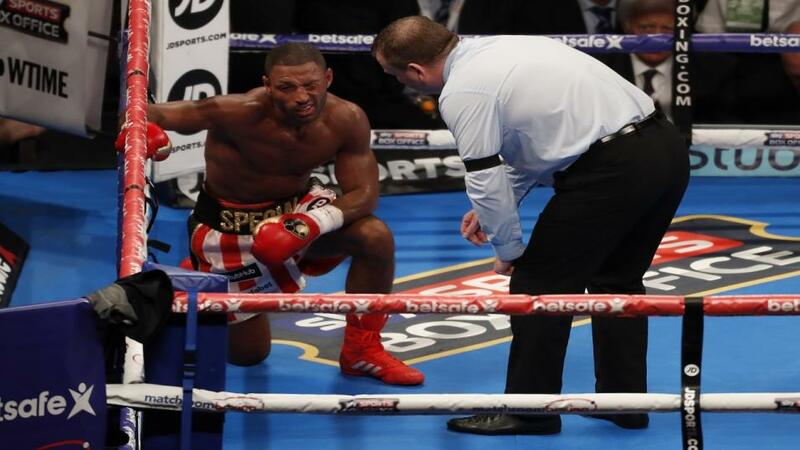 The second followed, halted in 11 by Errol Spence Jr at Bramall Lane. Two quick-fire defeats, both inside the distance and with a fractured eye-socket given as the reason on each occasion. It was feared we had saw the best of Brook and the gamble in moving up two divisions to face GGG had left his career in ruin. That may still prove to be the case, but the 32-year-old scored an overdue win when beating little-known Siarhei Rabchanka in two earlier this year to get back on the bike. A 38th career win has been priced up as [1.05] favourite by Betfair Exchange users, the KO/TKO yours at 3/10, a points win 11/4 - both quotes taken from the Betfair Sportsbook. We wouldn't hold it against you if the name Michael Zerafa doesn't ring any bells. The 26-year-old from Melbourne brings a record of 25 wins against two defeats but the majority of his work to date has come in Australia, only venturing outside his homeland to box twice in a career that can be traced back to March 2011. Interestingly, he has lost on each of his trips, beaten on points by Arif Magomedov over 10 rounds in Russia 2014 and KO'd in five by Peter Quillin in America 2015. That won't do a lot to inspire punters to rush out and back the upset in this one, but it is worth knowing the away fighter had no trouble getting his career back on track and claimed victory in each of his eight starts since going down to Quillin, five of those wins coming by way of KO/TKO. Despite that purple patch, lovers of an upset will get a market best price of  on Zerafa beating Brook on the Exchange, with the draw priced . The underdog to enhance his knockout percentage? That's one for small stakes at 33/1.